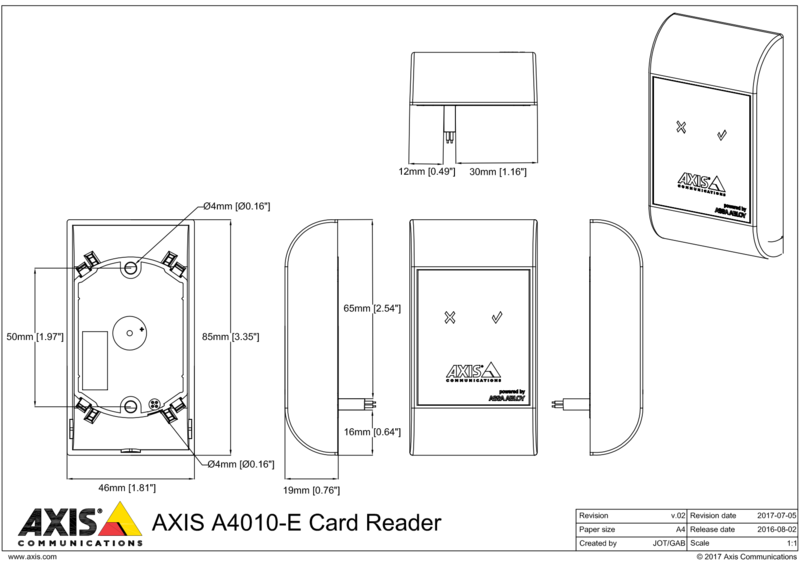 The Axis A4010-E Reader takes a step forward from other models by replacing the keypad with a smart card system, co-designed by AXIS & ASSA Abloy to work perfectly with the A1001 Network Door Controller. The reader supports touch-free entry with most card formats and with its IP65 classification it can stand the harshest of environments, overall its low cost and small size make it perfect for any home or small business. This camera is not in stock with our distributors, it can be directly ordered from the manufacturer with a 10-14 day lead-time for delivery.